Industrial, automotive and construction fields are often associated with state of the art machineries, heavy-duty equipment and solid gears that can pass within the test of time and abuse, primarily to assist us in getting the job done and right. More often than not, it takes a lot of time, effort and utter care for most workers in handling, moving, even at times transporting these ginormous instruments and equipment from one place to another. And obviously, a little push from a few number of human hands just wouldn’t guarantee efficient oversized equipment lifting and handling. Enter: Heavy-duty industrial speed rollers. Basically, speed rollers (industrial rollers, dollies, load skates for some) are industrial apparatus specifically designed to facilitate handling of heavy machineries and oversized equipment. It is generally made from industry-grade steel and aluminum, partnered with ductile, oil-resistant urethane rollers and metal t-bar to ensure withstanding durability and secured support while providing smooth control and movement. Moreover, standard rollers are typically furnished with single and/or double rollers, ideal for linear movements and straight path routes. On the other hand, swing rollers are intended to accommodate maneuverability for complex pivoting, and basically for changing directions in transporting heavy loads. Meanwhile, the swivel round top plate with slip-resistant surface on each roller enables effortless rotation and turn. Speed rollers vary in weight limit that correlates mostly with their sizes. They also offer distinct height or profile, mainly to fit with the height requirements/base clearance for different equipment handling. 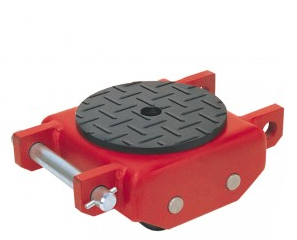 To evaluate, this material handling equipment can be compared to a trolley, although unlike the latter, speed rollers act as limb extensions and in conjunction with the use of a hydraulic jack to lift a specific heavy load and position the rollers underneath for transport. Zinko’s line of rollers offers standard and low profile rollers that guarantee enduring utilization that can outlast other roller brands. Its ergonomically-designed base unit allows the user to practically employ this, much to most kinds of material handling and transporting job. 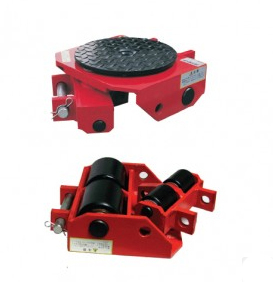 And with the aforementioned characteristics of this compact carrier device, Zinko Rollers apply to various transporting operation, essentially to any surface condition. Zinko Speed Rollers, along with other top of the line Zinko products are available at ABest Industrial Supply! Visit the official website and feel free to browse our line of hydraulic lifts and industrial supplies! Next post: House Jacking: Why Do It?